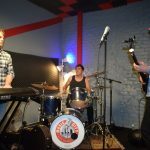 The plot thickened as the band Sweet Plot joined us in the studio for another installment of Music City Radio Interviews. We met up with three of the core members as the band finished off of a milestone year of accomplishments, with highlights including; their second LP release, headlining gigs at The Independent and Great American Music HaIl, and a spot at Outside Lands, just to name a few. Their sound is a tasteful blend of funk, r&b, and rock n’ roll, all infused with a large dose of something totally original to the Plot. 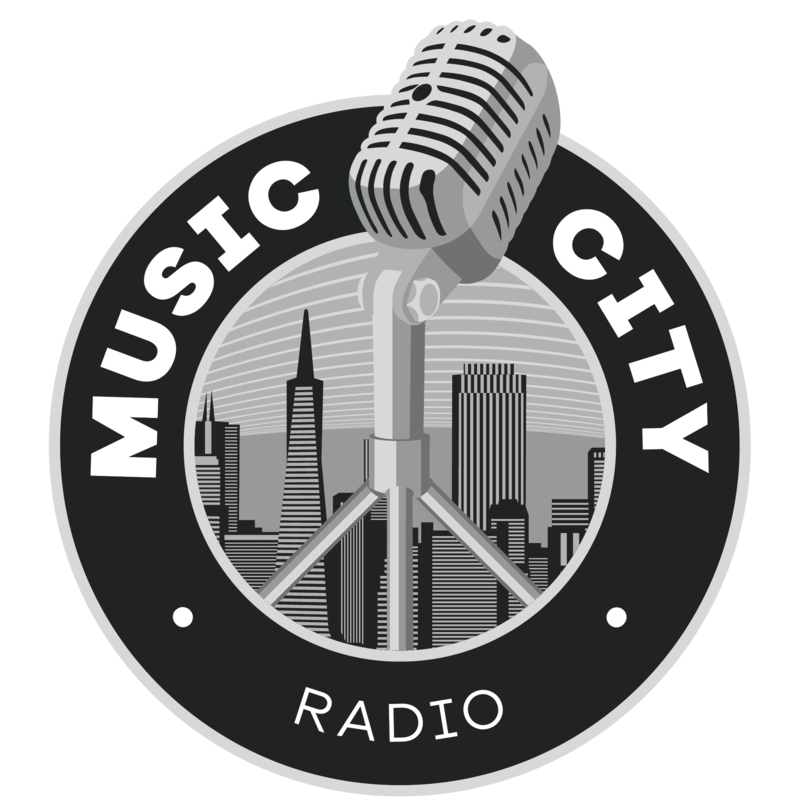 A listen to their records or witness of their live performance will leave no wonder as to why their accomplishments continue to grow, and if you have yet to hear of this soulful crew, Music City Radio is here to give you a proper introduction. 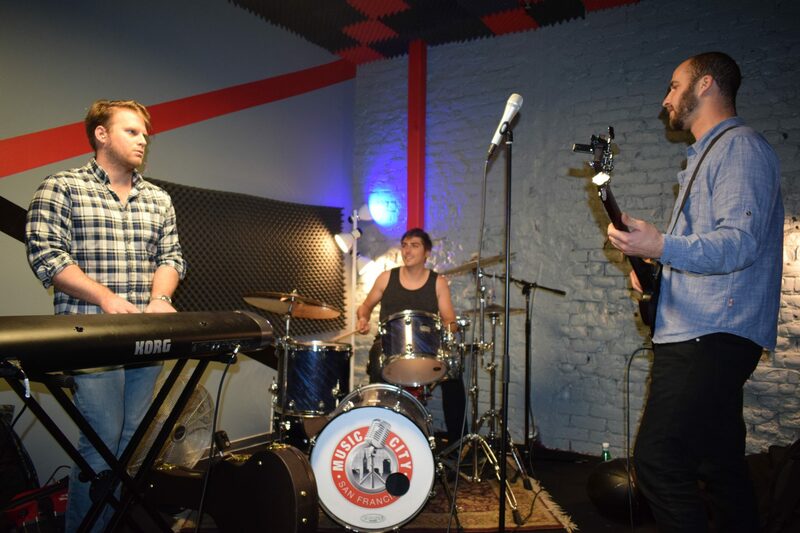 It was the organic relationship between singer/guitar player Cole Kromer and synth player/producer Don Nguyen that sparked the beginning of the musical venture that would come to be known as Sweet Plot. 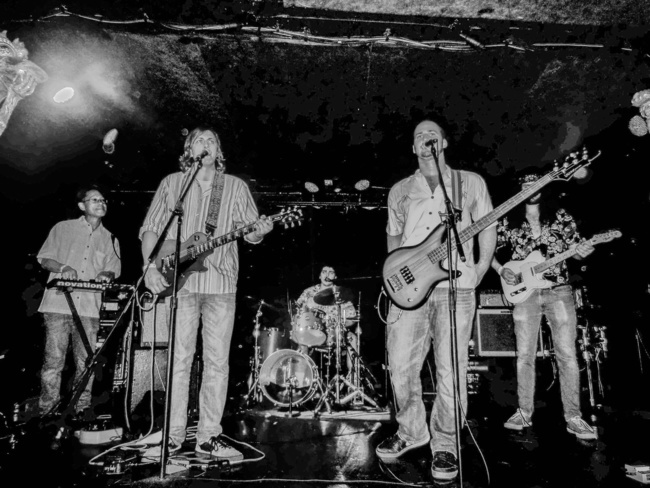 As Cole and Don continued to collaborate on musical projects, they were inevitably joined by bassist Dan Beckerman, drummer Daniel Plautz, keyboardist Evan Cullear, sax player Noah Rosen and fast shredding lead guitarist Tommy Ferdon to complete the core of a big band that has rocked Bay Area venues consistently for the last few years. 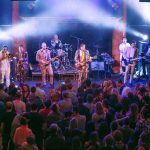 With a rotating variety of other brass players and percussionists added to that mix, a Sweet Plot live performance is something worth the price of any admission. 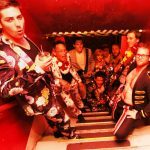 While the size and cast of the live band may be different at any given show, it is the musical intelligence and raw persistence of all their members that make Sweet Plot the contagious entity that it is. 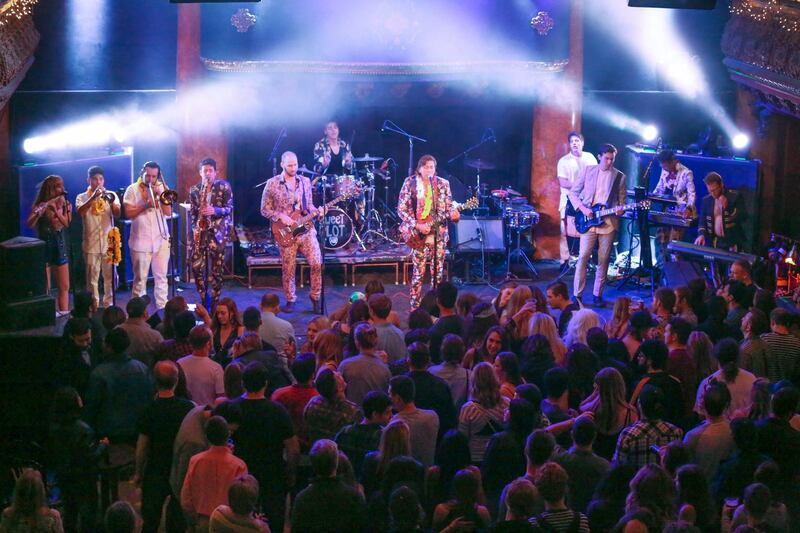 With such a variety of instrumentation and energy, the band is able to tap into several musical genres and styles that will keep one’s attention throughou. The soulful pipes of Cole Kromer serve to be the icing on this musical cake, as he channels a depth of expression that molds perfectly with the band’s dynamic stylings. Their songwriting at its core has something for everyone: catchy melodies, thoughtful lyrics, and a variety of memorable movements and structures that will keep your feet moving and your mind turning. Whether it be a version from a record or a live performance, their music is consistently on point with all elements in tune. A dive into Sweet Plot’s discography serves as a testament to a band that has simultaneously made strides in growth yet preserved the root of its inception and initial intention. 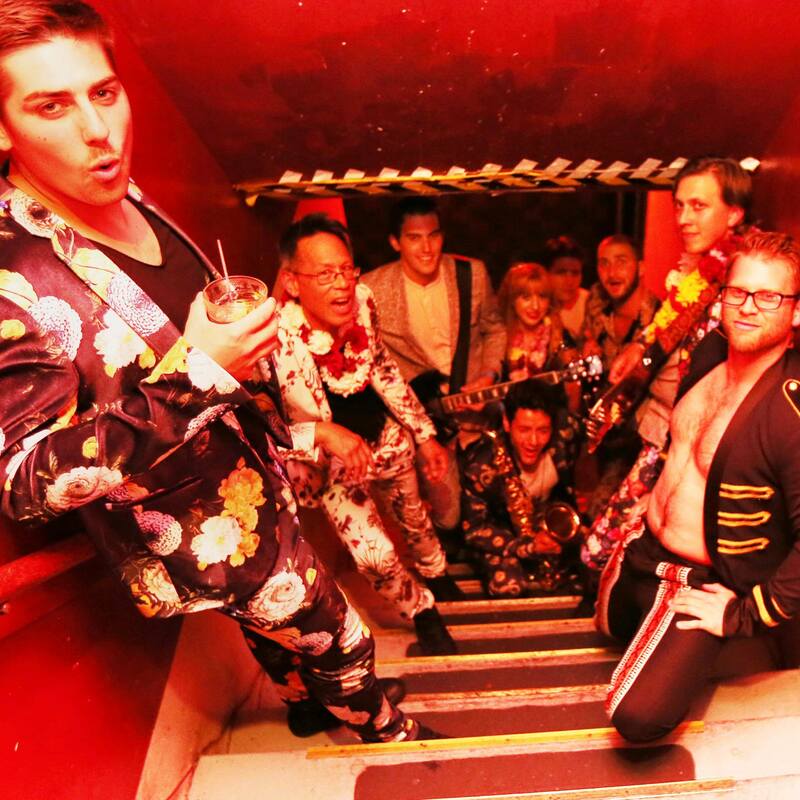 The positive energy of their music is emblematic of their San Francisco roots, and their referential style with its unique twists remind one of being in a musical time machine; sending you back to the 70’s and calling your attention to the now within the same track. The sonic texture of their analog recordings are another element that speak to the legitimacy and authenticity of this group, creating a timeless feel from the moment that a recording begins. Their music’s depth is complimented with their abilities in the studio, and as they continue to produce records, their soundscape continues to expand in exciting ways. Be sure to catch Sweet Plot on January 20th at The Independent, as they say farewell to their long-time Australian bound drummer Daniel Plautz. Despite this set back, we anticipate that the group will be finding a new drummer and rocking their way through 2018 and beyond. 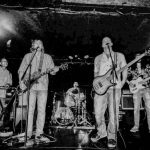 Support this band by purchasing their music and staying up to date with their calendar here, and stay tuned for the big thing on next Music City Radio.